Doug Briney embodies all things country: His personality is warm and inviting, some would say down-to-earth, recalling the disposition of many a Southern Gentleman from yesteryear. With a 2013 Independent Country Music Association Award, eight months on the Roots Music Report charts, international airplay and live performances at CMA Fest, Rodeo Alaska, The Iditarod, The Grinder’s Switch Hour, Alaska State Fair, and Dan McGuiness’ on Music Row, among countless others, this God-fearing road warrior, with the warm baritone voice and love for all things southern, has released his aptly titled Super Country Cowboy. On this album, Doug has created a tasteful blend of yesterday’s traditional country roots and today’s radio-friendly contemporary sounds, to invoke all the best that is American: Love of God, Family and the US of A. With the release of his debut album, It’s All Country, in early 2012, (and its re-release on CBM Records in 2013) Doug Briney showcased his signature sound, which he cultivated from years of touring camps, churches and conferences across the US. “We even played in an airport once, to impress a pretty girl for one of the band members,” he says with a laugh. Blending traditional influences from country music’s past, like the Gatlin Brothers and Kenny Rogers, with modern contemporaries like Toby Keith and Trace Adkins, Doug created an original, honest and authentic sound all his own. The collection of well-known country hits and new covers peaked at #6 on the Roots Music Report True Country chart, where it remained for 8 straight months. The album also charted at #11 on the itunes Country New Release chart, with 3 singles receiving international airplay and chart action, leading to more than 300,000 Youtube views between them. In February 2013, Doug signed with Tate Music Group, home to country legends like Lee Greenwood and Neal McCoy. In November 2013, Tate released Super Country Cowboy, a brilliant and heartfelt collection of compositions from some of today’s best country songwriters. From the Charlie Daniels-meets-Big & Rich-influenced title cut (Top 10 RMR,) to the inspiring, “I Get To” and the patriotic anthem, “Unknown Soldier,” Doug delivers nine emotion-filled, hook-laden tracks that are purely Doug Briney: heart-felt, passionate and proud. The album reached #58 on the itunes Inspirational chart and #8 on the Roots Music Report True Country chart, earning Doug a Nashville Universe Award nomination for Best Male Artist, a 2014 ICoMA Award nomination, 3 2014 International Music and Entertainment Association Awards nominations, winning Best Music Video “Unknown Soldier,”an AMG Heritage Awards Nomination and a two 2014 Artists In Music Awards nominations. Doug is also a Top 100 CMT.com Most Popular Artist! A 2013 move to Nashville, Tennessee has brought Doug to the epicenter of the country music industry. Grateful for being able to live his dream of performing and recording music, he has gladly given back to his community in a big way. Surrounded by a history of veterans and military service in his family, (his son currently serves in the Air Force) Doug has begun working with Bright Star International, who will help facilitate Doug’s work with veterans’ charities, and Heart Songs For Veterans. He is also donating 100% of his proceeds from the sale of the single, “Unknown Soldier” to Operation Troop Aid. Doug is also a partner with Musicians On Call, delivering the healing gift of music to hospital patients in Nashville. An ordained pastor, Doug also served at the Cowboy Church of Anchorage, Alaska, prior to his family’s relocation to Music City, USA. He is currently serving as a pastor with North Pointe Community Church in Old Hickory, TN. 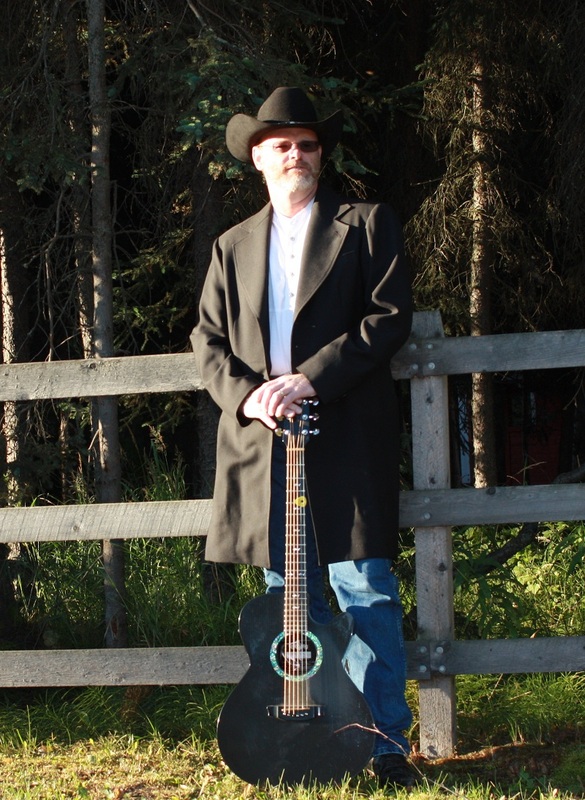 In fact, it’s his unwavering faith and love of country music that has led Doug on his journey.